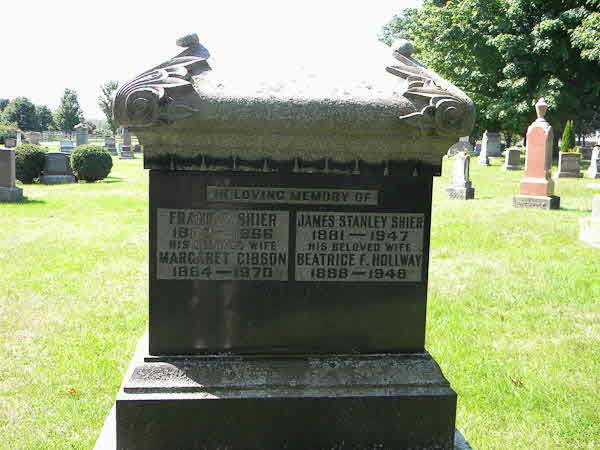 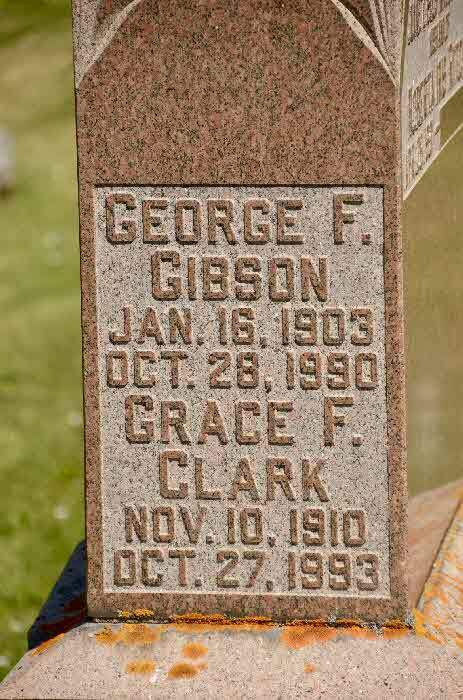 Burial* He was buried in North Brock Shier Cemetery, Gibson Plot, Brock Twp, Ontario County, Ontario, Canada. 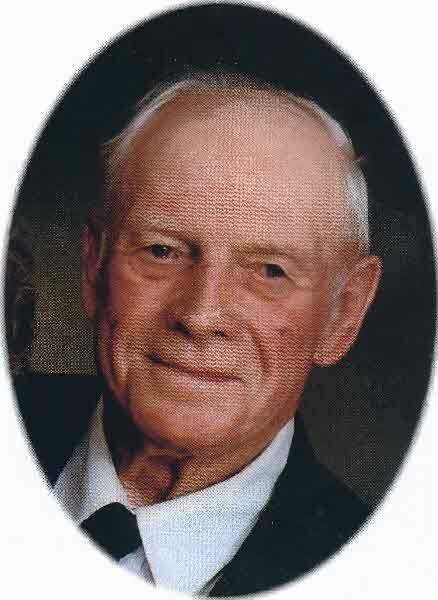 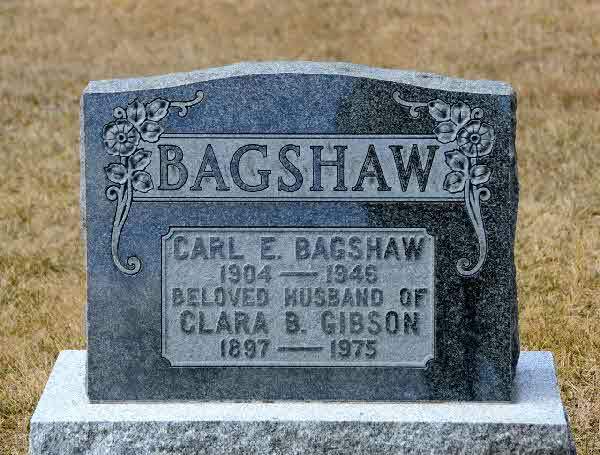 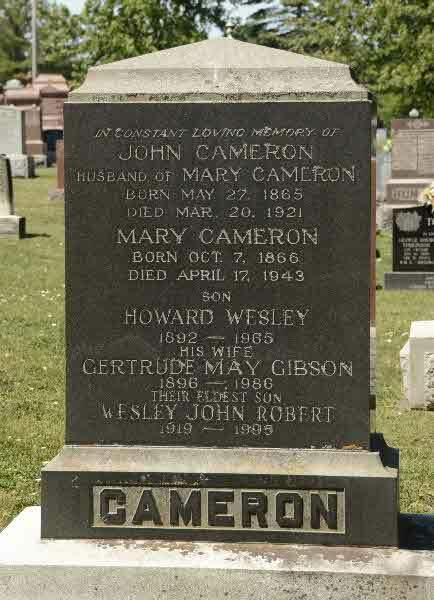 Death* He died on 13 March 1896 in Thorah Twp, Lot 2 Con 2, Ontario County, Ontario, Canada, at age 70. 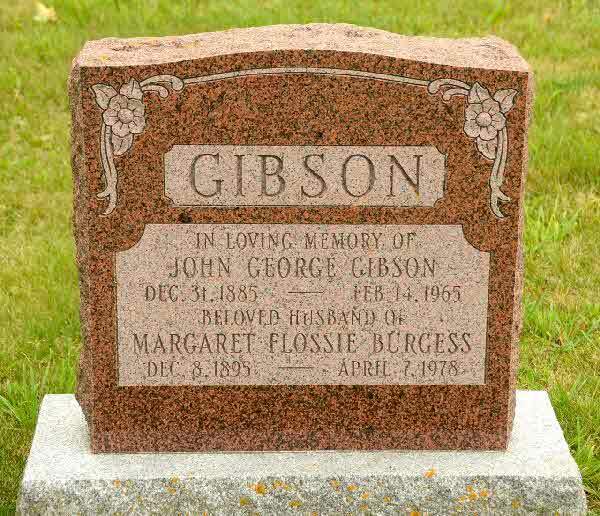 Marriage* John GEORGE Wellington Gibson married Margaret Flossie Burgess, daughter of Thomas Burgess and Rachel Dawson, on 21 January 1920 in Brock Twp., Ontario County, Ontario, Canada. 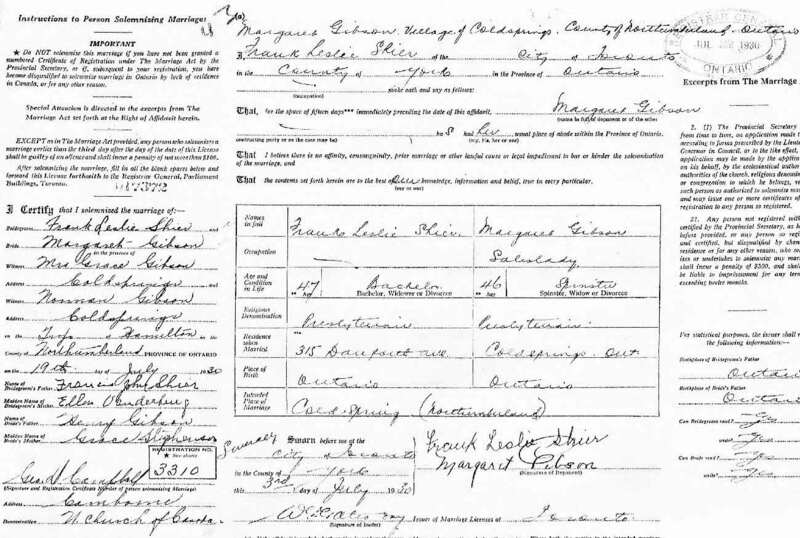 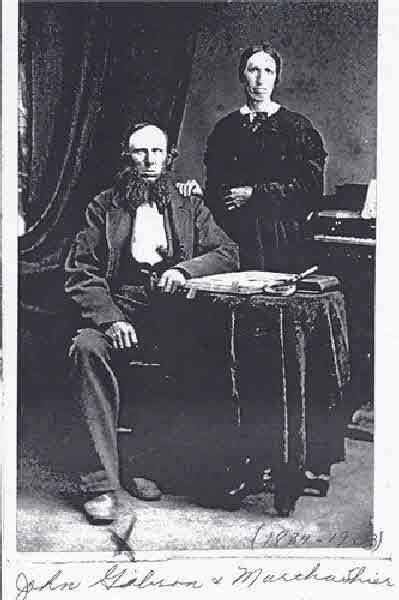 Marriage* John Joseph Ceasar Augustus Gibson married Henrietta Minetta Brock, daughter of Gordon D. Brock and Jane May Turnbull, on 10 June 1885 in Ops Twp., Victoria County, Ontario, Canada. 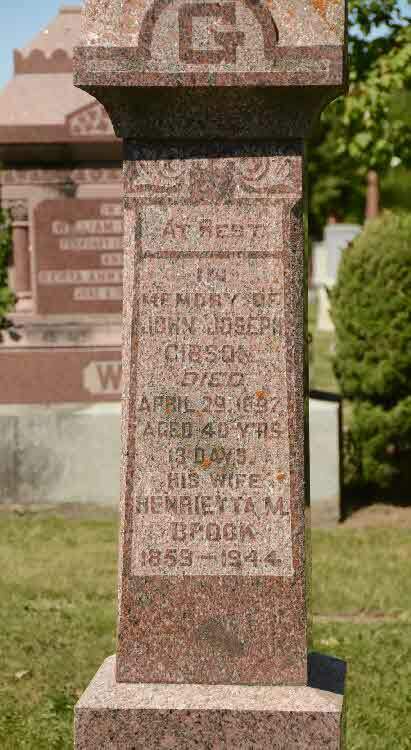 Death* John Joseph Ceasar Augustus Gibson died on 29 April 1897 in Brock Twp., Cannington, Ontario County, Ontario, Canada, at age 40. 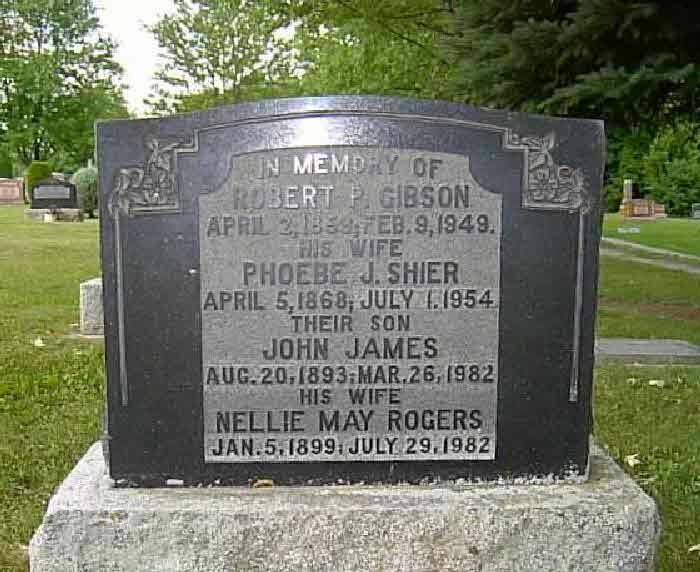 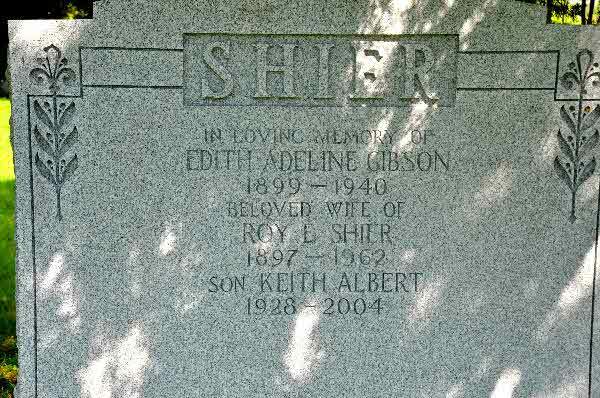 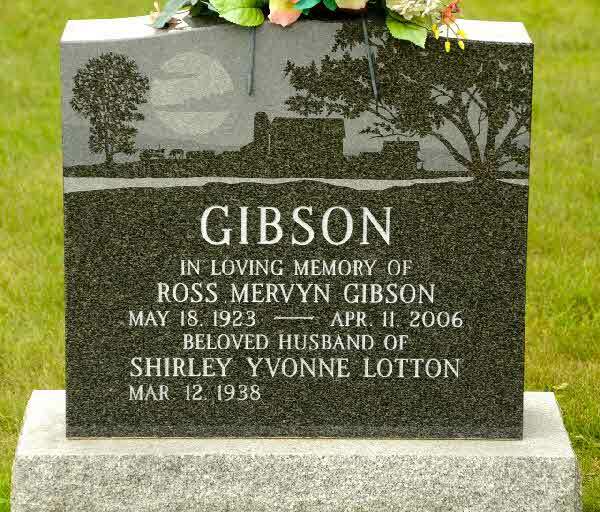 Marriage* Margaret Gibson married Frank Leslie Shier, son of Francis John B. Shier and Emma (Ellen) Vanderburgh, on 19 July 1930 in Hamilton Twp., Northumberland County, Ontario, Canada. 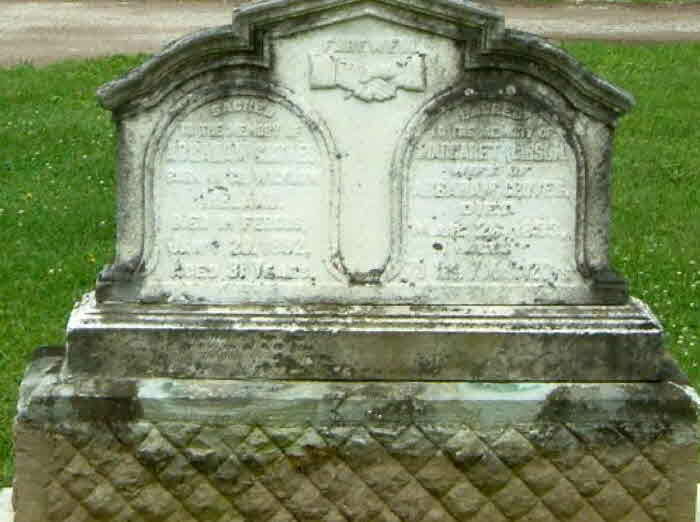 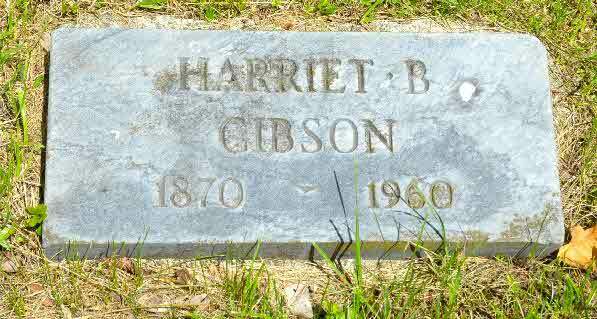 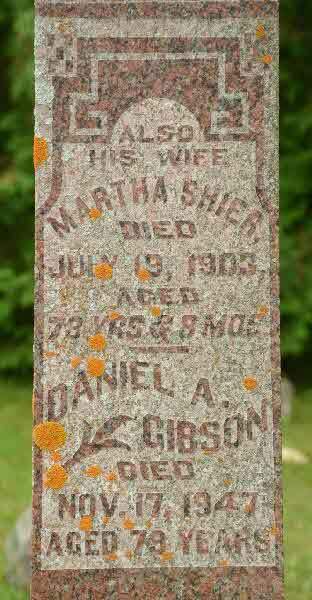 Burial* She was buried in Belsyde Cemetery, Fergus, Welllington County, Ontario, Canada. 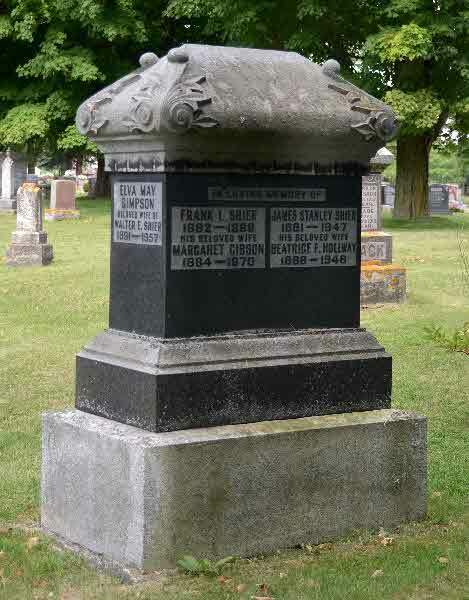 Burial* He was buried in Cedar Vale Cemetery Brock Twp., Cannington, Ontario County, Ontario, Canada. 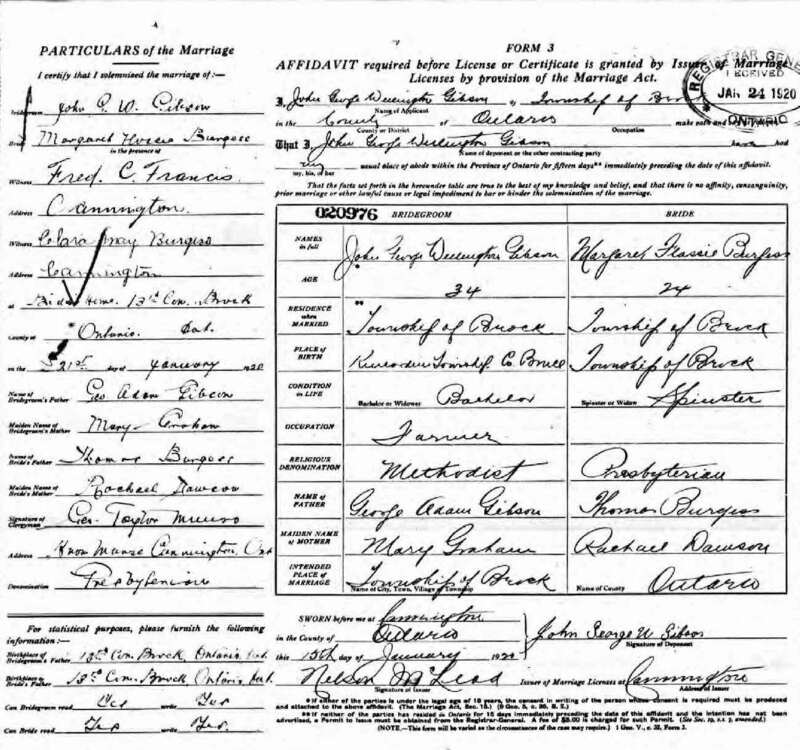 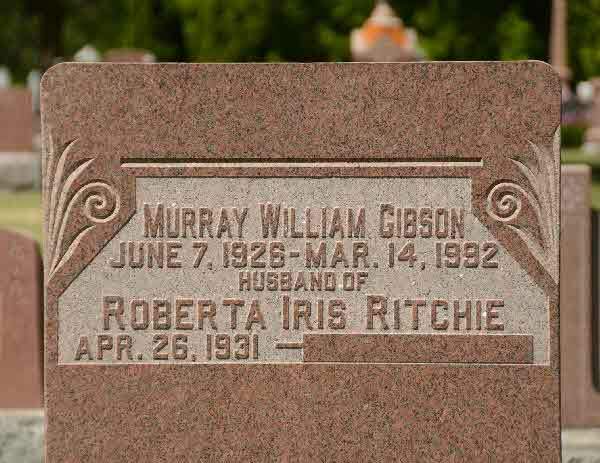 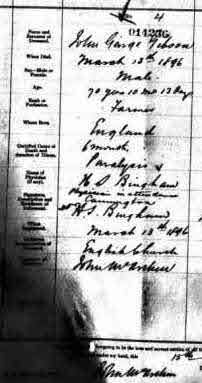 Marriage* William Albert Gibson married Eva Victoria A. Porritt on 28 November 1894 in Eldon Twp., Victoria County, Ontario, Canada. 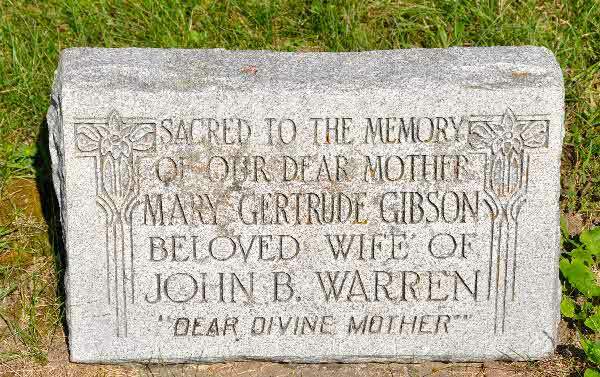 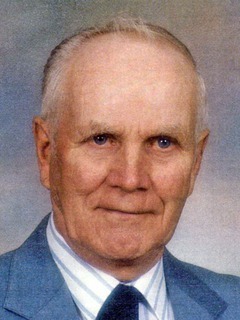 Marriage* She married Manley Benjamin Teskey, son of William Teskey and Ellen Horne, on 1 August 1932 in Cuyahoga County, Ohio, United States.